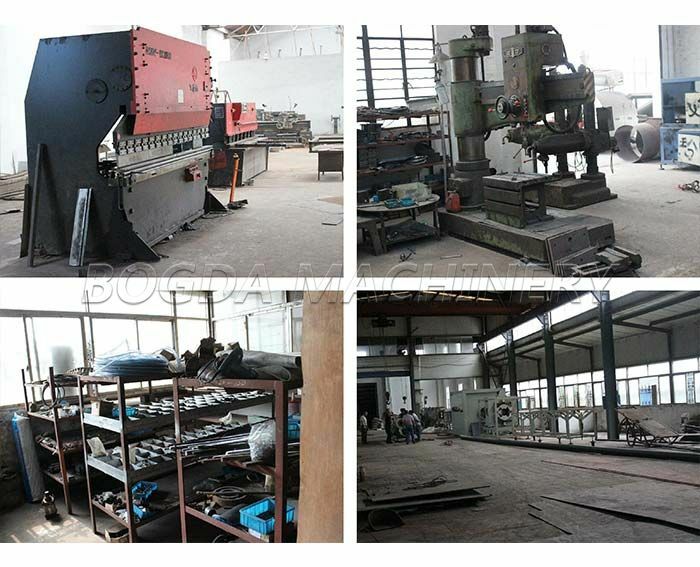 Agglomerator machine using friction heat principle, make thermoplastic films direct crushing and granulation. 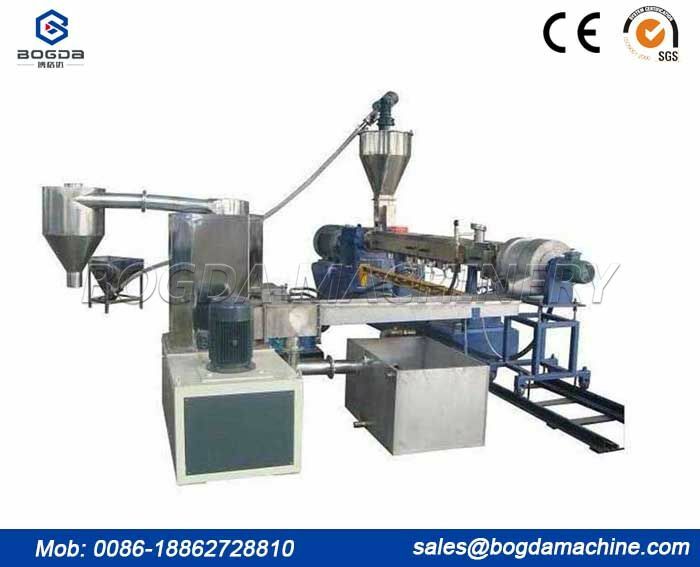 The Plastic agglomerator is used for granulating waste thermoplastic thin films with wall thickness less than 2 mm. 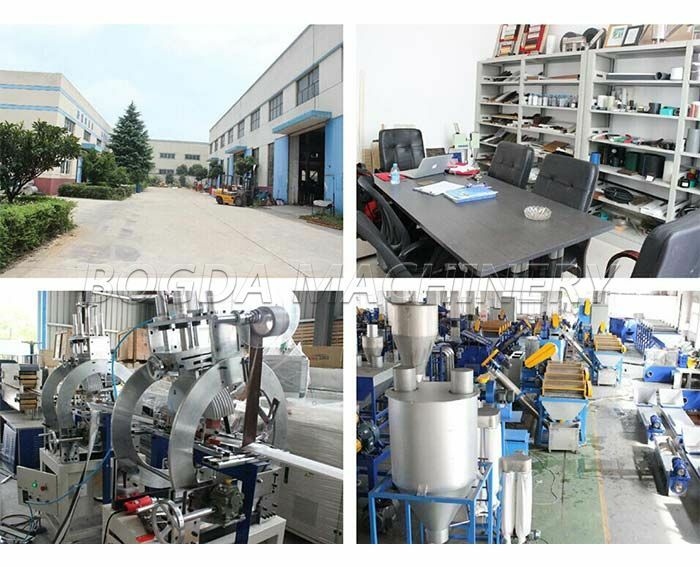 such as, high and low density polyethylene, polypropylene(PP) and polystyrene(PS), usually, the customer usually use it for the recycled film material, after crushing washing drying, the recycled PP/PE film scrap still contains 5-20% mositure, which will cause big problem for the next procedure of extruding, at the same time, the recycled film scrap takes relatively large space, so it's better that we can have a machine which can reduce the size of recycled scrap and evaporate the mositure, that's why the agglomerator comes. 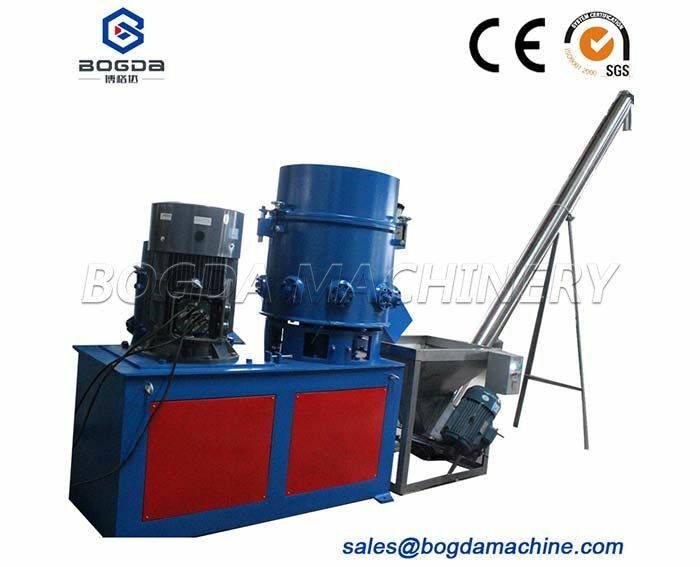 Putting waste products into agglomerator pot body and quickly cutting by the high speed rotating and fixed blade shear. The material turning up and down by paddle and from all around to move towards to the center of the pot body. The friction of material and pot wall and blades produce much friction heat under the high speed, making the materials temperature rises to the half-plastic condition and connects to small lump. Before the materials will block, put preparation quantitative water spraying to material. The cold water touch the hot materials will gasify and take out the surface heat soon , making the surface of the materials cool quickly and avoid blocking, then after crushing effect between rotary blade and fixed blade to cut into particles(irregular size materials). During the crushing, Also may join the appropriate color pigments according to needs. 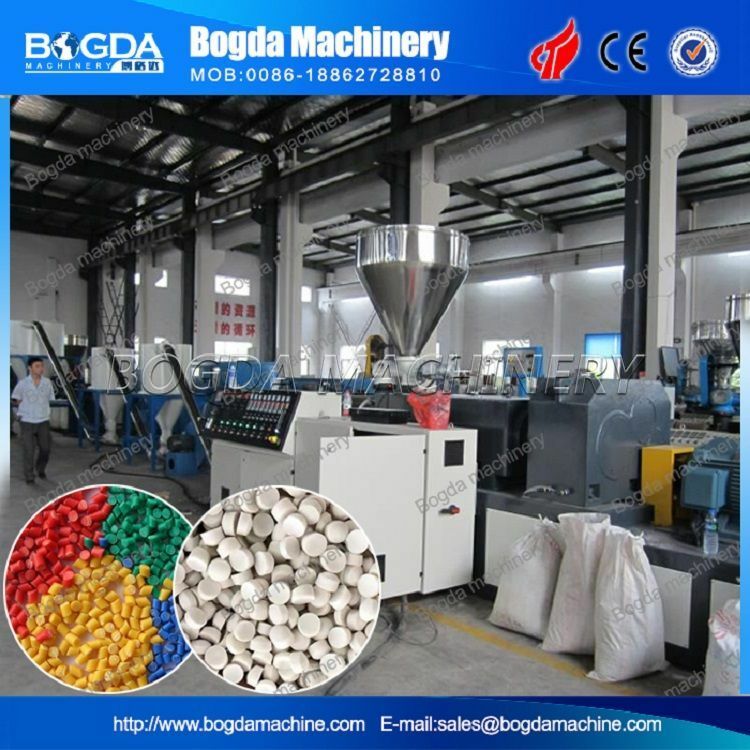 BOGDA was established in 2013, is specialized in research, manufacture and marketing of plastic extrusion machine, mixer and mixing plant, crusher, shredder, pulverizer, granulating line. 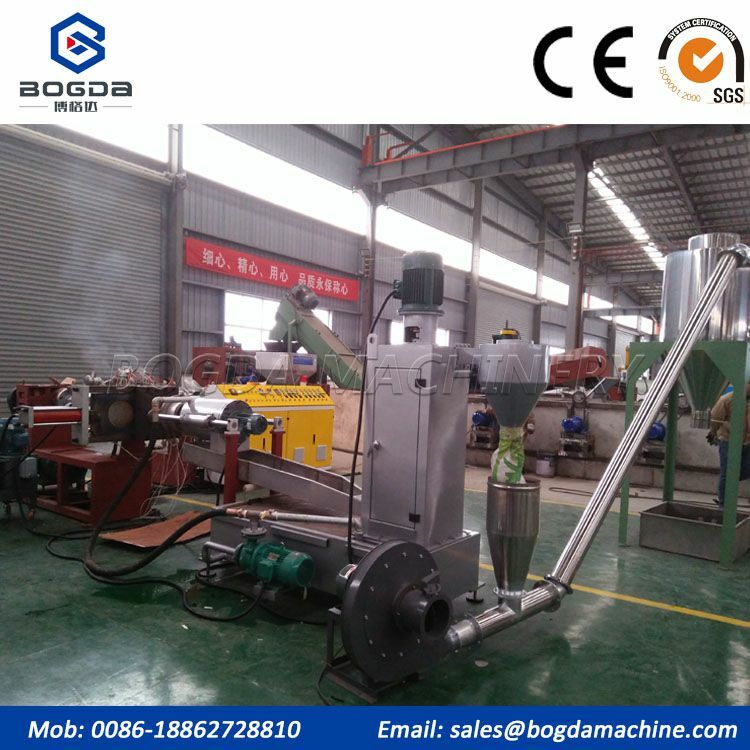 BOGDA is located in Zhangjiagang City (2 hours drive from Shanghai), Jiangsu Pro, China. With years production and export experience, creative, innovative emotion, BOGDA developes high-quality products for the market.High skilled artisan together with modern processing methods ensure that BOGDA has stable and high performance products. Our mission: Help customers to gain profits ans assistant customer to sucess. BOGDA's development comes from the client's satisfaction.